Don't give up on your messy garden! Because from a quick garden-tidy up right through to a full overhaul of your Guiseley garden, we can work with you to ensure that the outside space of your home becomes as lovely as the one indoors. 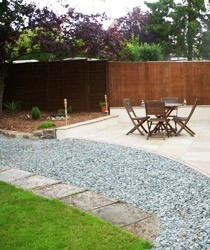 Our skilled gardening team will work on taming your wild garden and turning it into a stunning outdoor space. All work undertaken is covered by Public Liability Insurance, which can be viewed if requested. As first-rate, professional gardeners we know what's necessary to turn a dull, lifeless garden into a magnificent outdoor paradise. We offer the highest level of service to the home owners of Guiseley and Menston and take care of each detail. We assure all clients of great quality work. As a well respected, Guiseley based gardening and landscaping company, over and above our skilled gardening services, our prices are competitive making our services highly affordable. Phone now for a free detailed landscaping estimate! Call us on 0113 370 9087. 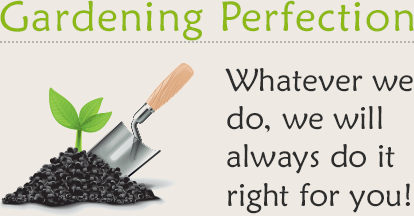 From start to finish, and no matter what we do for you, you'll be getting the best value gardening that money can buy.